SNHR’s high standards for documentation are based on collecting direct testimonies from survivors or victims’ families in addition to analyzing and verifying photos, video footages, and some medical records. However, we can’t claim that we’ve documented all the incidents in light of the ban and tracking of the Syrian regime and other armed groups. Please visit this Link to review SNHR methodology in details. 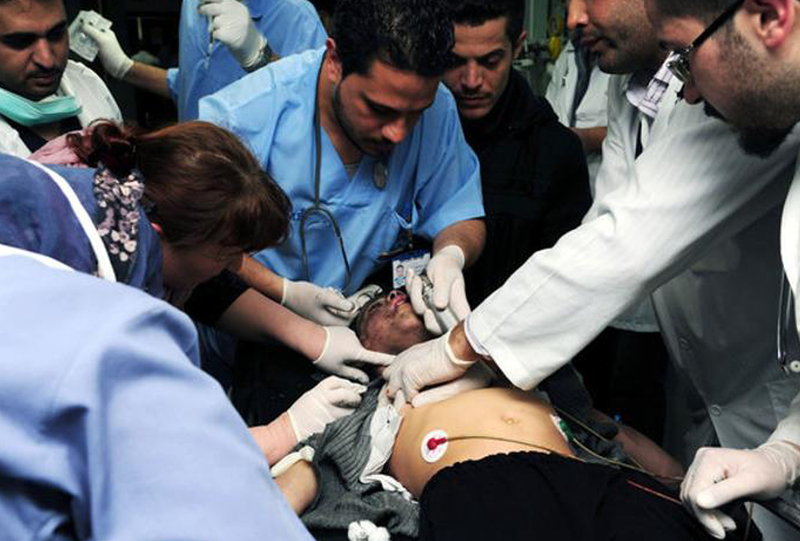 The consistent Government forces’ shelling of the medical facilities since 2011 and the armed conflict parties targeting the medical staff through killing and detaining, indicates a premeditation policy of causing more deaths and aggravating the injured civilians or armed individuals suffering.